Cargo is a web platform that enables users to publish a wide variety of visual content with ease. Now you can add your own custom form to your Cargo site. 2. Sign-in to your Cargo site admin panel. 3. Create a (1) New Page or (2) Edit an existing page. 4. 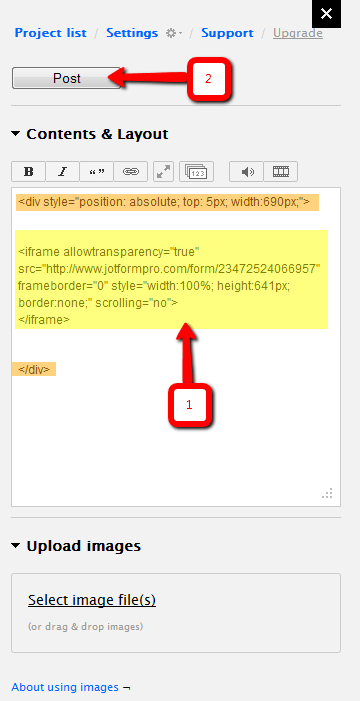 (1) Paste the JotForm form's iframe code in the Cargo content editor box. (2) Click on the Post button to save and publish the page. 5. Click on the X blocked button to close the editor. 6. Done. 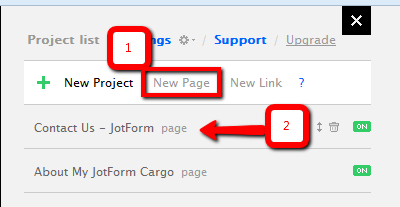 Preview your JotForm in Cargo site. Here is a sample Cargo site(cargocollective.com/jotform-fan) from a JotForm fan. Hello... i don't actually appear to be receiving the messages that people are sending via this form? Hello, it doesn't work. It just appears the written stuff and not the form. I've done the instructions step by step but it's not working once the code saved on my cargo page. The iframe code doesn't look the same than the one on the instruction picture. How to embed a form to Zenfolio website? 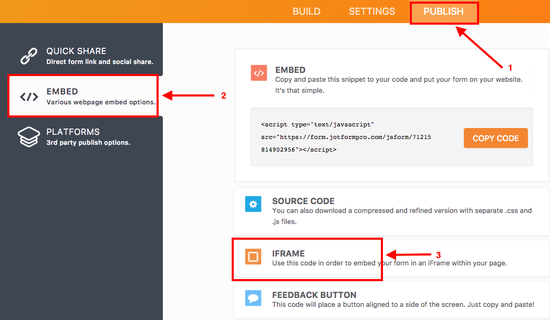 How to embed a form to Duda website builder? How can I create a form in my website? How can I create a form and use it in my website?